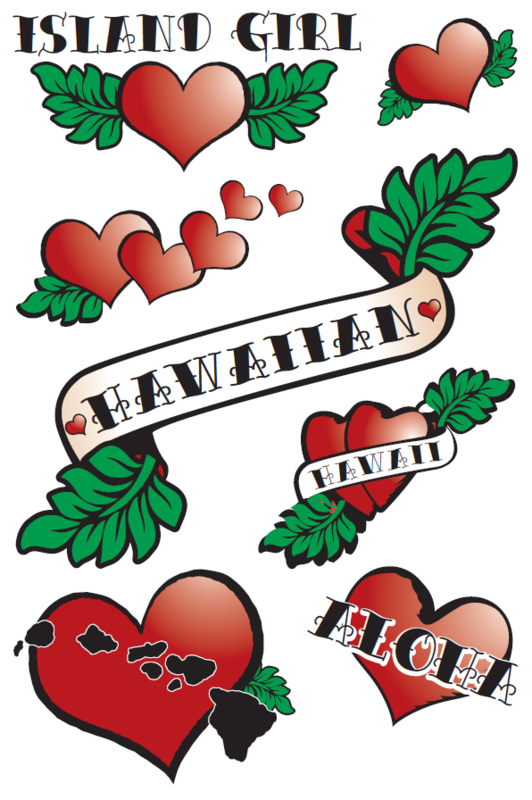 These temporary tattoos are inspired by traditional Hawaiian and Polynesian Tattoos. We are honored by the stories folks share when asked "tell me about your tattoo." We hope you have fun with these tattoos...the combinations are endless...we also hope they inspire you to talk story...!